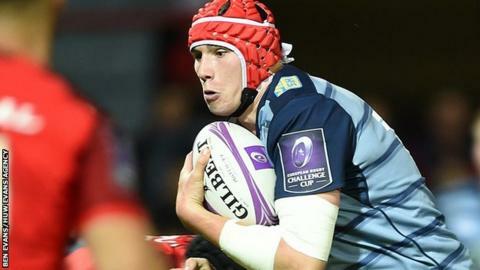 Wales international Seb Davies has committed himself to Cardiff Blues after signing a first senior contract. The 21-year-old second row has played two Tests for Wales against Tonga and Samoa in June 2017. Davies has made 23 appearances for the Blues since making his debut three years ago. "I'm really happy to have signed a senior contract with Cardiff Blues. They are my home team and I have come through the system here," said Davies. "There is so much potential here and we have so many young, quality players coming through - I really wanted to be part of that so it was an easy decision to make." The Cardiff-born lock is set to face Scarlets in Llanelli on Saturday, 28 October. Blues chief executive Richard Holland said: "It is great news that Seb has decided to remain with Cardiff Blues and I'm sure he will play a major role in the years ahead. "Given his potential this is a major statement of intent as we continue to secure, and build upon, our home grown talent."